The support from all the Northwest NYLA members in our region. The community being close and being able to connect with members and to relate on local issues and support each other in our goals. 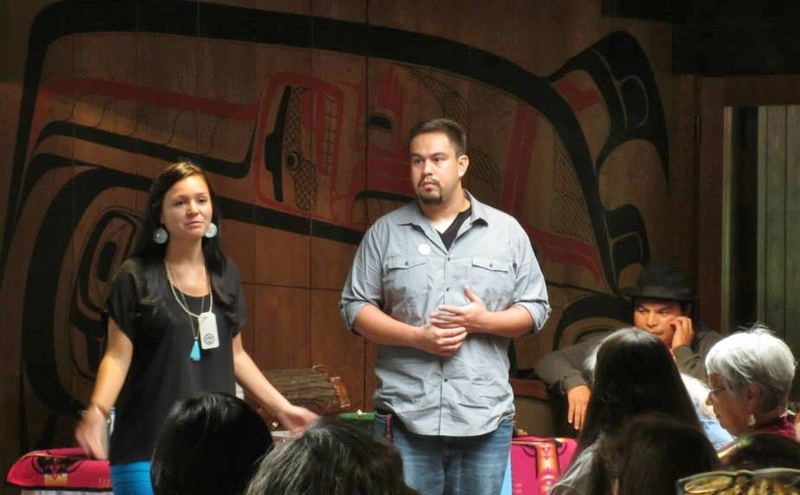 NYLA is a big part in me attending Northwest Indian College’s, Our Food is Our Medicine conference every year. They support my interest and help put my plans into action. They have helped me step out of my comfort zone and strengthening my confidence in public speaking. HOW HAS NYLA SUPPORTED YOU IN YOUR ACADEMIC GOALS? NYLA has helped me with my plan management. This has helped me make focus on my over all plan by doing my small goals and educational goals. WHAT’S YOUR FAVORITE PART OF THE NYLA FELLOWSHIP? Being able to meet all the interesting people that work with NYLA and networking through NYLA. NYLA has helped me articulate my goals and visions. It would have to be our old teachings that are most helpful in life lessons; they help me in raising my son. Also, utilizing traditional values in everyday life.